On the show this week, my guest is Ivaylo Ivanov (AKA @Ivanhoff to folks of Twitter & Stocktwits). An equities trader of 10 years, who tackles the market with a swing trading approach to capture powerful, short-term gainers that may run anywhere between 3 – 10 days. While swing trading is his bread and butter, Ivan also allocates a portion of his capital to position trading, when he has reason to believe a trend will continue for the longer term. He’s written several books including ‘The 5 Secrets to Highly Profitable Swing Trading’ and ‘The Next Apple’ which was a collaboration with Howard Lindzon (the co-founder and CEO of Stocktwits). Plus, Ivan is regularly featured in the Wall Street Journal, Bloomberg, Yahoo Finance, Traders Magazine and he’s a familiar face amongst the Stocktwits community. How the 80/20 theory applies to markets – meaning markets spend the majority of their time range bound, and the remaining 15-20% of time is where movement comes in. Why Ivan traded a single setup for the first few years of his trading career (and why you probably should too). Over time, he gradually began adding more setups to his portfolio of setups, to equip himself for a variety of market conditions. What drives powerful short-term gainers, and why you need to pay attention to hot industries that are building momentum. What attracts Ivan to recent IPOs and the two driving factors that often lead them to outperform other stocks during the first few months. Ivan shares one of his ideal setups for high probability swing trades, and how to give priority to some setups over others (particularly useful when you have more signals than capital). An overview of the 5 secrets to highly profitable swing trading, if you can get these 5 aspects right then you should be in a good position. Ivan discusses his approach to position trading for catching long term moves, and how to identify these moves before they happen. Plus more importantly, he discusses a few pointers that may signal a move is coming to an end (or signal an area for profit taking). 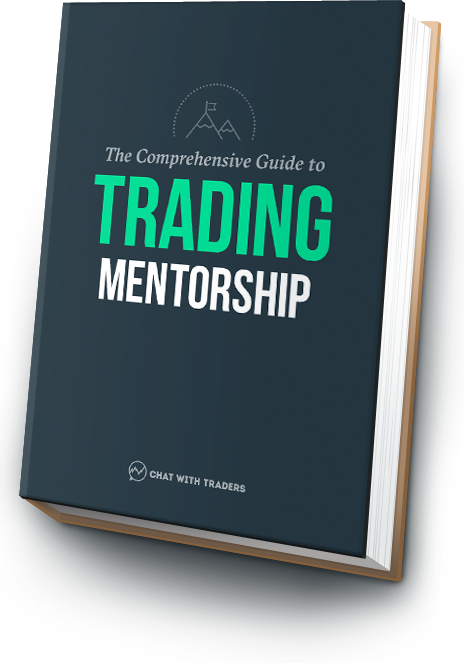 One of the most practical habits that has helped Ivan improve his trading, which involves not only analysing the trades he acted on, but also the opportunities he missed. The 5 Secrets of Highly Profitable Swing Trading – A short guide written by Ivan, with the goal to help you better identify high probability setups, and how to capitalise on these opportunities. The Next Apple – How To Find Stocks That Could Go Up 1,000%. The second book Ivan wrote, in collaboration with Howard Lindzon (CEO of Stocktwits). This one focuses more on longer term position trading and investing. TraderFeed article – An article Ivan wrote for Dr Brett Steenbarger’s blog, where he discusses one of the most practical habits that has helped him as a trader. Social Leverage 50 – A subscription site run by Ivan, providing users with stocks that have the potential to become market leaders and offer profitable swing trades, plus longer term position trades. Ivanhoff.com – To learn more about Ivan and his trading insights, you can visit his website. @Ivanhoff – Also be sure to follow Ivan on Twitter. @Ivanhoff – And Stocktwits, where he uses the same handle.